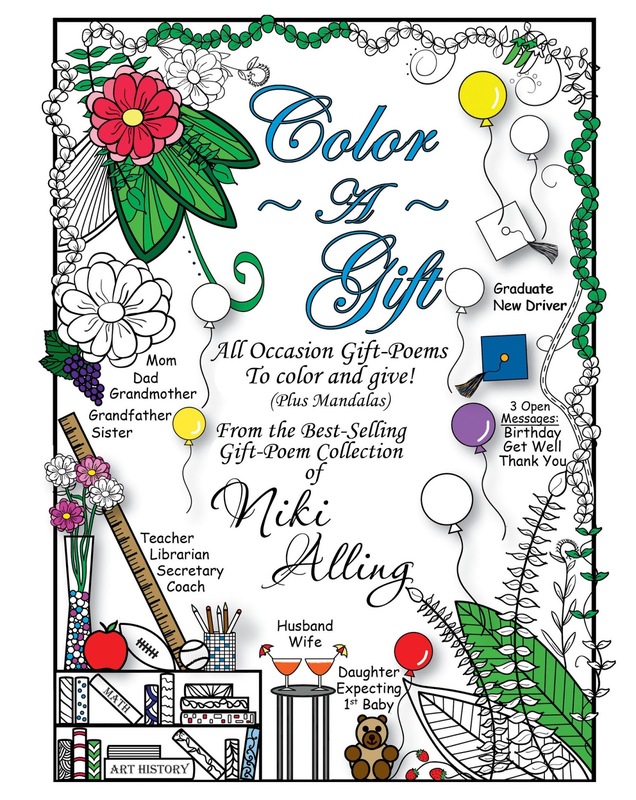 Color-A-Gift: All Occasion Gift-Poems to color and give! 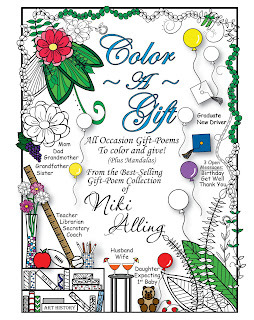 From Niki Alling's best selling gift-poem collection, now created into a coloring book to frame and give as gifts. 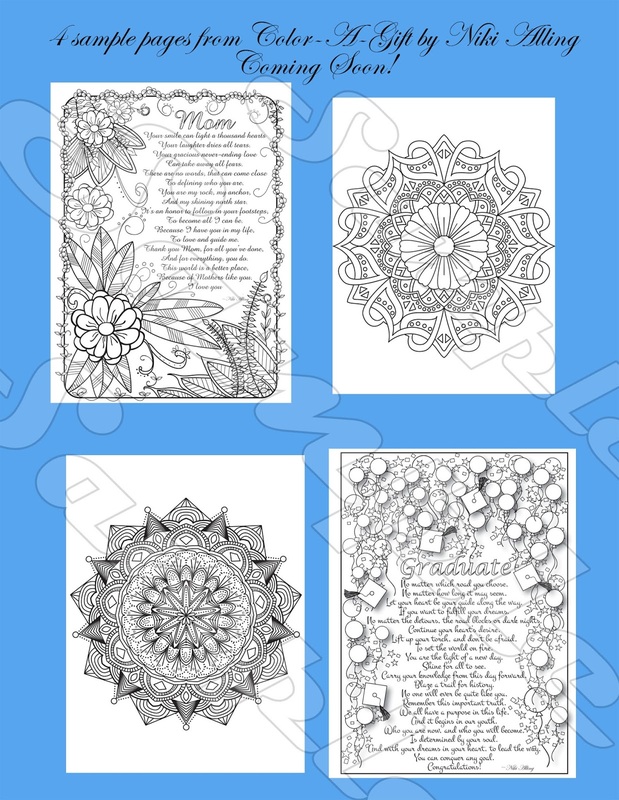 Plus 16 original mandalas! Get your gift list ready and your colored pencils, this book has something for everyone!